We have been hard at work preparing lots of cookbooks for you. Here are two! 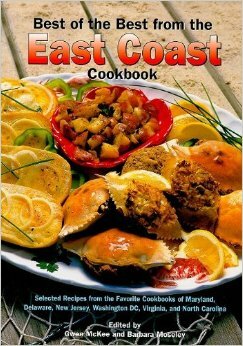 Best of the Best from the East Coast is a great new cookbook. This Quail Ridge collection of recipes features recipes from favorite Cookbooks of Maryland, Delaware, New Jersey, Washington DC, Virginia, and North Carolina. It includes a little of everything, from breakfast, seafood, chowders, desserts and even candies. Here are a few recipes that sound delicious; Bambinos... if you have never tried a bambino and you are a pizza fan, they are so yummy or try Strawberries and cream bread, curried chicken salad, seafood lasagna, Coca-Cola brisket, peanut crusted picnic chicken, or butter pecan pound cake. The list goes on and on! So many options and flavors from the East Coast are included that it reminds me of a road trip/mini vacation we took a few years ago. Option number two is a Gooseberry Patch winner! 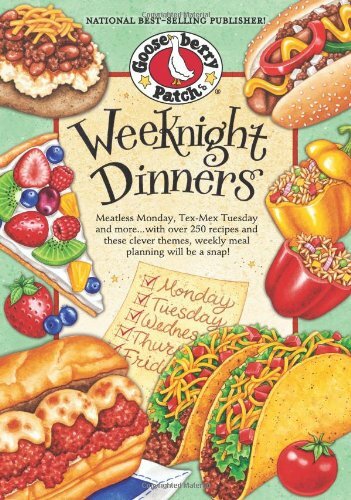 In this Weeknight Dinner Cookbook there are so many choices of recipes to try, especially if you are stuck in a dinner rut! 250 new recipes to fill the tummies and hearts of your friends and family that are separated into chapters like Meatless Monday, Tuesday Tex-Mex Night, Wednesday is Italian Night, Comfort Food Thursday, and Just for Fun Friday. Recipes that I can't wait to try Slow-Cooked Minestrone, Cheddar-Dill Bread, Aloo Gobi Mattar, Shredded Mexican Beef, "Deep-Fried" Ice Cream, Tina's Savory Bruschetta, Heavenly Lasagna Soup, Chicken & Broccoli Bake, Chocolate-Covered Cherry Cake, or Chicken-Apple Sliders. With all these great recipes to choose from, I can't wait to get cooking, and eating! Does flipping through cookbooks make anyone else hungry?